BOBST, one of the world’s leading suppliers of machinery and services to folding carton, corrugated board and flexible packaging manufacturers, has committed to attracting the next generation of talent with its Electrical Maintenance apprentice programme. The apprenticeship allows apprentices to gain and enhance electrical engineering knowledge and skills. BOBST is committed to ensuring there is continuous supply of young technicians to join experienced engineers in the print and packaging industry through an extensive programme of apprenticeships and training initiatives. As part of this drive, Bobst UK & Ireland has hired new apprentice Alex Coy on to its Electrical Maintenance apprentice programme. Alex joins BOBST as an apprentice field service technician and will spend his first year in full-time study at EEF Technical College in Aston, Birmingham. He will then work alongside BOBST’s experienced field service team, to further develop his engineering skills whilst studying one day per week to complete his apprenticeship. Field service technicians serve as front-line representatives of BOBST, providing timely and efficient machine repair, and upgrade and training services for customers. 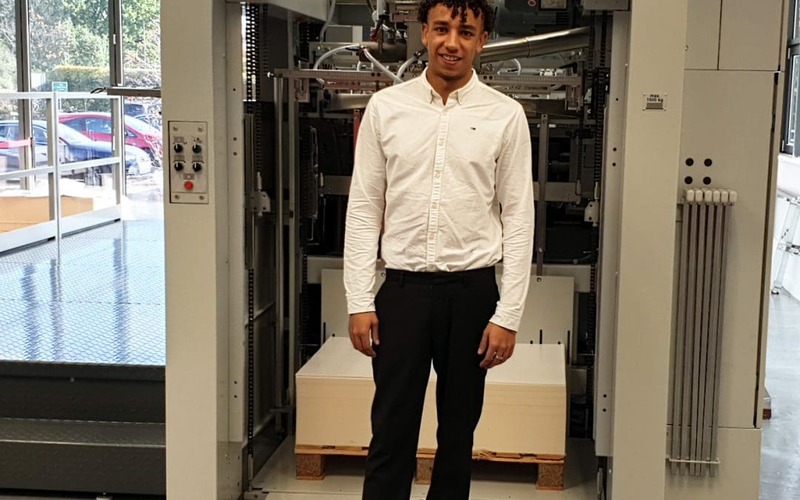 Alex was recruited by BOBST at an Apprentice Open Day during which candidates take part in team building activities, quizzes, see machine demonstrations and hear from the members of the technical service team. The BOBST apprenticeship scheme is in its seventh year of operation and is focused on attracting technologically astute young minds towards engineering, as part of BOBST’s ongoing commitment to training and succession planning. Alex will become an integral part of BOBST’s mission to deliver world-class service and machinery to customers across the UK.